Q: What is the definition of “recreational programs”? A: Recreational programs are any planned or organized activity, other than a youth bureau or youth service project, which has for its primary purpose the use of constructive use of leisure time, and which is operated by or under the direction of a municipality. Q: Do veterans get a discount on property taxes? A: Eligible veterans and un-remarried spouses may receive a partial exemption of their property tax. Applications are due to the local assessor by March 1st for the following tax year. Eligibility requires active federal military service in war time. Exemption amounts increase if the veteran served in a combat zone or is service-connected disabled. Service in the Reserves and National Guard is not considered qualifying duty unless he/she was activated for full time Federal active duty (mobilized). Exemption amounts and limits vary by town and are determined by the local assessor. NYS Tax Form RP-458-a is required. Visit a Service Officer for more information. Q: If my discharge is not “honorable”, can I request that it be changed? A: Discharge upgrades are possible but rare. The Department of Defense will not consider upgrade requests beyond 15 years after discharge. The veteran must have evidence that the discharge was either “improper” or “inequitable.” Visit a Service Officer for more information. Q: Are there survivor benefits for spouses of veterans? A: Yes, if the veteran died from a service-connected disability, or was receiving pension benefits, then survivor benefits may be available. Eligibility rules are complex. It is best to visit a Service Officer for more information. Q: Is there VA income assistance for elderly veterans? A: The VA has “pension” benefits for eligible veterans who are unable to work, have very low income or are service-connected disabled. Eligibility rules are complex. It is best to visit a Service Officer for more information. Q: Are there veteran education benefits? Q: Is there employment assistance available to veterans? A: The New York State Department of Labor has a Veteran Specialist to assist out-of-work veterans find employment. The Veteran Specialist can be reached at: 845-338-4696 x3006. The VA does not operate job placement services, but does have employment training programs for eligible veterans. Visit the Veteran Services Agency office to learn more. Q: Is there assistance for homeless veterans? A: Yes. Programs vary according to the situation. Visit the Veteran Services Agency office to discuss options. Q: Does the VA pay for veteran funerals and burials? A: The VA pays a funeral expense stipend for certain eligible veterans. Speak to a Service Officer about eligibility. The VA pays for burials in National Cemeteries. The County pays for burials in the County Veteran Cemetery. Burials in private cemeteries are paid by the veteran/family. The VA provides a grave marker for most veterans at no cost. VA Application 40-1330 can be completed at the funeral home or the Veteran Services Agency office. 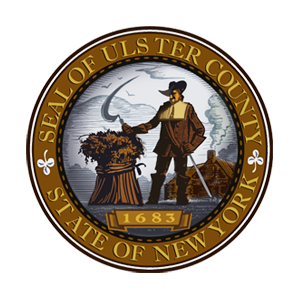 Q: Is there a Veteran Cemetery in Ulster County? A: Yes. See the FAQ section on this topic.